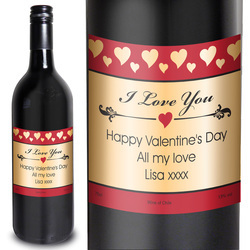 Personalise this I Love You Red Wine with a line of up to 15 characters in a script type face, e.g. I Love you. Also add a longer message of up to 3 lines of 30 characters underneath the heart.